← 40 Days of Awwwesome: Watch out, DaViD!!! It was Friday afternoon and I was tired from a long week at work filled with deadlines and office politics and I needed a break. My boyfriend called and echoed similar sentiments and we decided that a Friday night filled with soulful music was in order. But what plans can be made at the last minute? Where could we go to receive the much needed break from our hectic schedule? There were a few places in town that occasionally featured bluesy soulful singers but neither of us had to energy to call around so we decided to go to Fleetwoods, a club in town owned and operated by Mick Fleetwood, which provided an excellent venue for regional artists to perform. I offered to call Fleetwoods just to check who was performing but the decision was made to just take our chances and go. We were escorted to seats close to the stage and slumped into the chairs when the waitress greeted us for our order. We anxiously asked what band was playing and as she named the band we were slightly disappointed, not because the band was bad … no they were good but they simply weren’t a bluesy soulful band. We lamented that we should have called ahead and agreed to do so next time. Soon, however, we discovered that had we made that call we might have missed an amazing, unforgettable experience. The band started playing and was greeted warmly by a sold out Friday night crowd. The crowd mostly listened to the band but also ate their dinner and talked to friends at nearby tables. About halfway through the first set, the lead singer said that she wanted to invite a guest vocalist to join them on stage and motioned to someone from the back of the room to join the band. I looked back and saw a pretty but plain woman, with her face almost devoid of any expression, walking to the stage. Her body language suggested she rather be at home reading a good book than walking up to that stage. I remember thinking, “Oh this doesn’t look too good” and almost feeling embarrassed for her in advance. As the guest vocalist got up to the stage and strapped the guitar around her shoulder; the two singers looked at each other and nodded as if to say let’s get this party started. Eva finished the rest of the first set and I hadn’t experienced anything like it before. By the response, I could tell the audience felt the same way … the collective feeling was palpable. Who was this person, where did she come from…why haven’t I heard of her before? I didn’t know the answers to those questions but did know one thing, that whenever we had the chance to hear her sing again, we would go. We were lucky to see her perform 6 more times before she lost her battle to cancer. I felt so sad that the rest of the world would not experience her special talent but I was thankfully wrong as the power of her gift was recognized on an international level and rightfully so. I felt so honored to have witnessed her talent in person. I have always loved music. There were musicians that I appreciated, songs that I really connected with and certain performances that were memorable; but in retrospect, listening to Eva was the first time in my life that I had really felt someone’s music. I didn’t just hear it … I felt it. And there has been no other artist that has made me feel the same since, that is, until this year when I heard David sing. His music doesn’t originate from him or end with him but flows through him. His humility boldly states that this is not about me but the music. He does not want to compromise his convictions for the sake of a dollar or fame. His music is 3 dimensional affecting the body, mind and soul. I feel his music. It doesn’t matter the venue, the song or the setting; every time he sings I feel his music. That is a special gift. Here is Eva singing a Canadian classic, Gordon Lightfoot’s Early Morning Rain. I watched the footage today–of David singing “Fields of Gold” as part of his Christmas tour in 2009. David’s voice continues to impress me……..
a voice that can soothe you, relax you, and just make you feel joyful……..
And his introduction of this song—David talking about my beloved sister, Eva……..
well, tears welled up in my eyes…….. Thank you, David—for being so gracious and kind!!! I also wanted to share my comments on David’s Christmas CD, “Christmas from the Heart”. 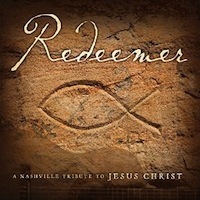 Oh my goodness…….this CD was even more amazing than I had anticipated! The album as a whole was wonderful, and these songs, in particular, were absolutely beautiful: Silent Night, O Holy Night, What Child is This, Riu Riu Chui, and Ave Maria. I also loved the spiritual message David wrote in the liner notes. Beautiful thoughts, David! 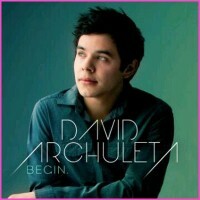 So, for those of you who haven’t gotten David’s Christmas CD yet, please do! I know you’re going to love it as much as I do!!! 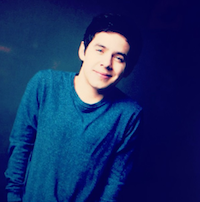 And to David—may this New Year have lots of wonderful things in store for you! 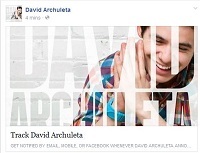 This entry was posted in 40 Days of Awwwsome and tagged David Archuleta, Eva Cassidy. Bookmark the permalink. Oh this such a sweet, sweet post. Don’t recall reading the article by KT about Eva, loved reading that account of seeing her perform. Love Eva and like many of David’s fans, he was the one that introduced me to Eva Cassidy. So I have David to thank for that because he gave me another beautiful experience to add to my musical enjoyment and inspired listening pleasure. I have most (if not all) of Eva’s albums now and listen to her often. Like David’s music, I have shared Eva’s music too, with others. She has certainly left behind a beautiful legacy. Such a wonderfully gifted and an inspiring artist. Wish I had seen her perform live, even once but what a gift she has left for everyone and I am grateful for her beautiful voice and her heart she put in to her music. David has inspired us in so many ways and I owe him much gratitude. Is it any wonder that he was so incredibly inspired by the lovely Eva. Just loved reading that article and love the review too, of David’s Christmas album! Thanks to TOfan for another wonderful pre-arranged post! This article gave me chills and tears!! To be able to hear Eva LIVE, would have been amazing but I’m so glad David heard her singing Fields of Gold while Michelle Kwan skated. I’ve recently re read that part in his COS. To hear how inspired David was to hear someone sing with such Feeling and then to grab every ounce of her music that he could was so spiritual and continues to be. I’ve bought some of Eva’s music too and so happy her family knows of David and loves him too is so wonderful. Thanks Tofan for providing this for us. It will be treasured as a Keepsake. So many similarities and God working through others. Guess I should say Thank You to KT and Eva’s sister too!! Sweet! How wonderful to walk down this memory lane!! When Eva sings, as when David sings, a part of my soul is captivated. Wow This is beautiful…. thanks KT, and TOfan for re-sharing it…. Eva is an artist that I would not have heard of with out David, another blessing he gives us> introductions to amazing artists. “His music doesn’t originate from him or end with him but flows through him. Autumn Leaves, like an arrow – from her mouth, straight through to your soul. Any wonder he admires her as he does. I’ve bought her music too, thanks to David.